When you find a great read, it's hard not to want to share the experience with friends and family. Use Kindle's Households and Family Library option to connect your Kindle account to other accounts in your home. 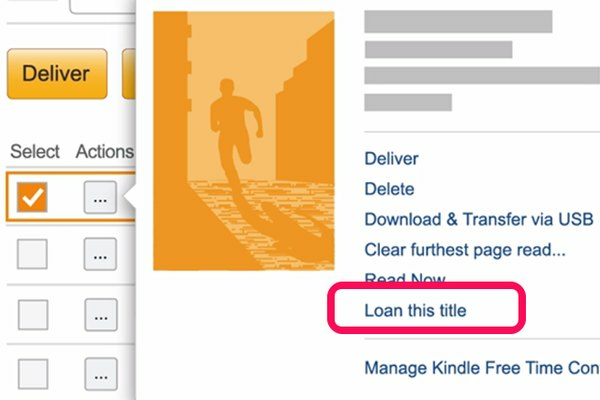 Some Kindle e-books have an option to loan your copy of an e-book to someone else for up to 14 days. Use this method to share a book with a family member who doesn't live with you or with a friend. Go to Amazon.com and click on Your Account. Scroll to Digital Content, select Manage Your Content and Devices and then click Settings. Click the Add Child button to add a minor in your household to your personal account. Children can have their own Kindle devices with a child account, but purchases go through your account. To connect your account to another adult's account, click the Invite an Adult button while that person is with you. 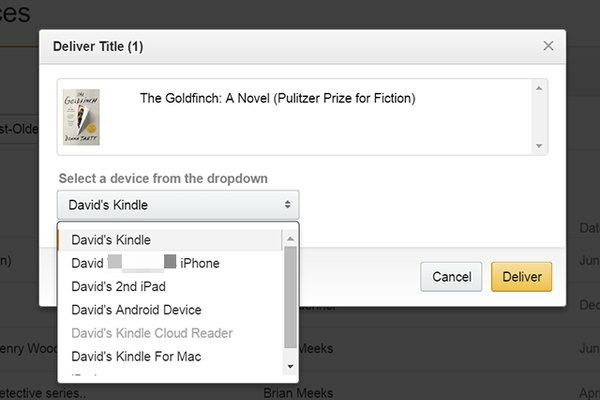 When prompted, ask your reading partner to enter his or her Amazon account information and follow the on-screen prompts to connect your accounts. After you set up your Family Library, you and the other adult in your home can do much more than just access the Kindle e-books, apps, and audio books purchased on the account from the Cloud or Archived Items tab on your Kindle devices and reading apps. Each member of the family has a saved furthest read location, annotations and more. Some special features are only available for the adult family members. If you don't see the shared content, go to the Family Library Settings on your device to enable them. Older Kindle devices and apps don't support Family Sharing, so check to see if your Kindle supports this feature or not. If you plan to loan an e-book to a friend, first make sure the title is lendable. Not all e-books have this option enabled. To see if a title is lendable, go to its Product Information page and scroll to the bottom of the Product Details section. 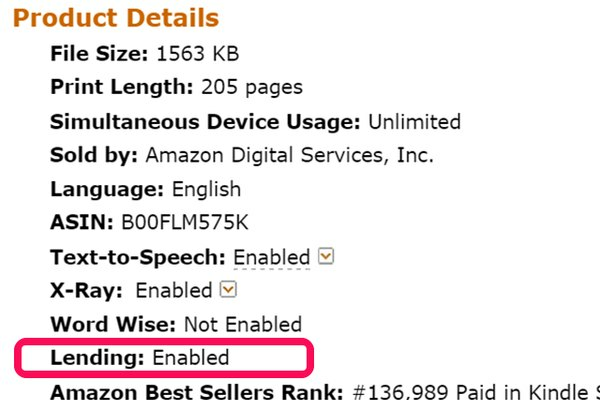 It will either say "Lending: Enabled" or "Lending: Disabled," or if there is no information about lending, the book isn't lendable. Keep in mind that publishers can enable and disable lending at any time. Go to Amazon's Manage Your Content and Devices page. Locate the title that you want to lend and select it by clicking the check box. Click the Actions button and then select the Loan This Title link. If the link isn't there, you can't lend the e-book. Enter your friend's personal email address in the Recipient E-Mail Address field and type your name in the From field. Do not use your friend's Send to My Kindle email address; it won't work. You can include your friend's name and a short message, but these aren't required. Click the Send Now button. When your friend clicks the Get Your Loaned Book Now button, which is included in the email, the button links to a Web page where the next step is to click Accept Loaned Book. An invitation appears for your friend to send the title to a Kindle device or the free Kindle PC or mobile app. Unlike a paper book, you can only lend an e-book once. However, just like a paper book, you won't have access to your e-book while your friend is using it. In 14 days, the title is automatically returned to you -- no hints, no phone calls, no badgering, no embittered friendships and no lost books! One of the great features of Kindle e-books is their portability between devices. As long as you're using the same Amazon account, you can read your e-books on your Kindle device, your laptop, tablet or smartphone, provided you've installed a Kindle app. As long as you have an Internet connection, when you leave one device and resume reading on another, it automatically picks up on the page where you last left off. Download books from your device or app's Library screen, or have Amazon deliver the titles to your specified device from the Manage Your Content and Devices page. Select the title, click the Action button and then click the Deliver link. In the window that opens, select a device and click Deliver. Amazon doesn't limit you to the number of devices you can associate with the same account. However, some publishers may impose a limit on specific titles. Some readers have reported that some titles may only be available on six devices at once.